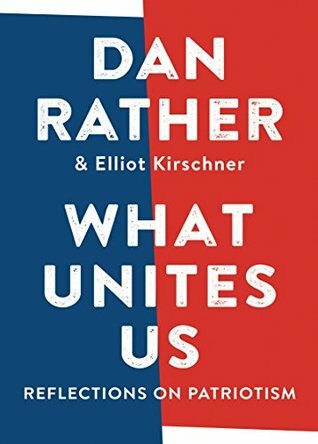 This entry was posted on Tuesday, April 17, 2018 and is filed under America,Book Review,Essays,News,Politics,What Unites Us. Dan Rather. You can follow any responses to this entry through the RSS 2.0. You can leave a response. It sounds like an interesting read for sure and a great place to get people talking about all this is going on around us. Great review! It is such an important read for our current political and social climate. Thanks for stopping in! I am glad to see this perspective of the in between ground and a call for folks to come together in open dialogue and understanding is out there. I think there are more "in between" people than we realize. It is just the partisan voices tend to be the loudest. oh wow ok I GOTTA read this one! I loved Hillbilly Elegy and I'm craving another south's perspective again especially if it is not preachy! As an immigrant living in the east coast I really want to understand other perspectives Thank you for sharing Ethan! Great Review! Hillbilly Elegy is on my TBR! You read this one, I'll read that one, and we'll reconvene and share our thoughts on both!